Air plants are great office plants. Whether you want a small display just for your desk top, or a large display for the reception area, air plants add a modern flair at the office. 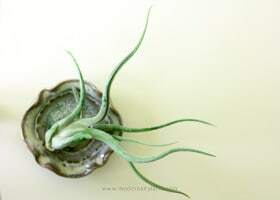 Tillandsia, commonly known as air plants are as versatile, and easy-care as they are unique. No soil. That’s right. 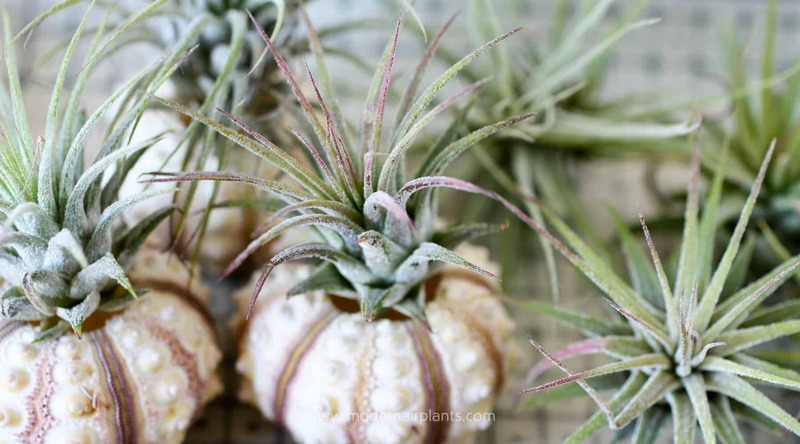 Air plants do not require soil, and that means no mess. They absorb no nutrients at all from their roots. Instead their roots act as a stabilizer to harmlessly affix themselves to tree branches or other plants or rocks. 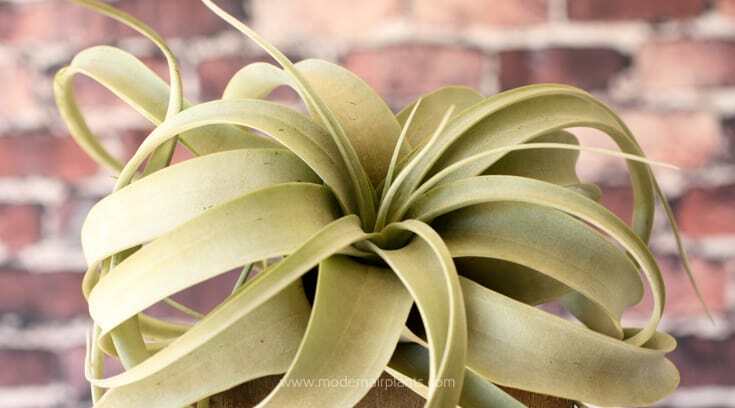 Tip: Although air plants do not need soil, they do need water, more than they can absorb through the air. 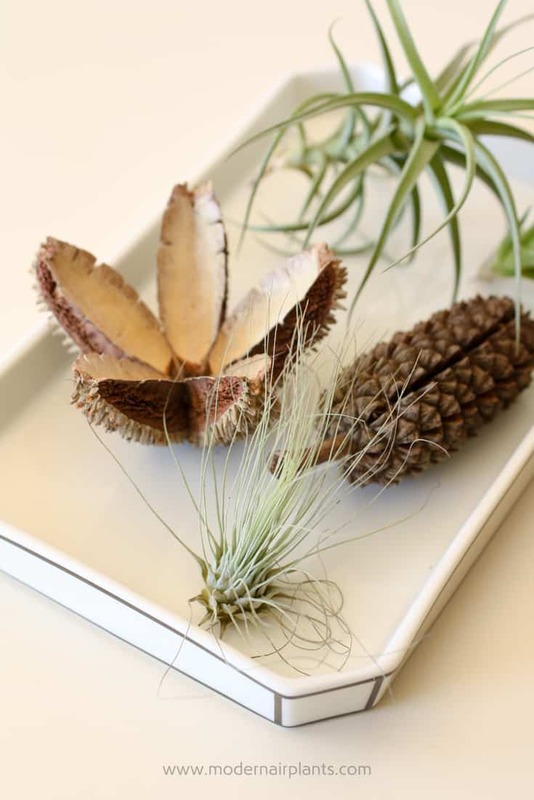 Air plants add a touch of class and set your office apart. 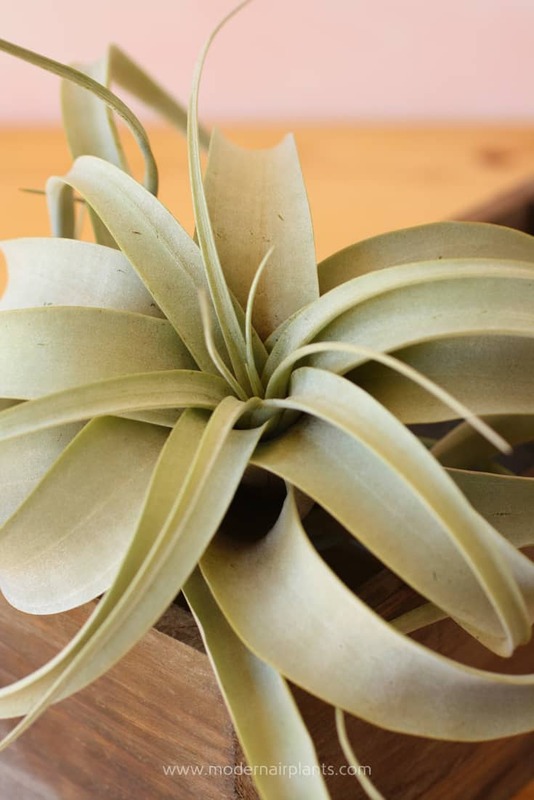 Ficus trees are nice, but if you’d like something more original, consider air plants. A menagerie of air plants and seed pods create a unique and interesting display. Would you like a large air plant display, or a small one? Well, you can have either one. 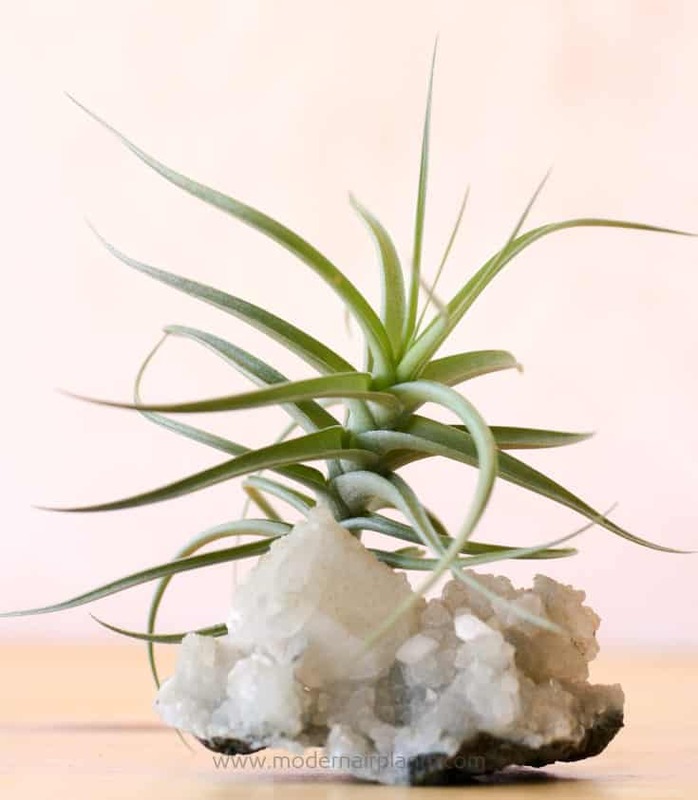 For a small display a single air plant could be glued to an uncut gemstone or geode or placed inside a terrarium made just for that purpose. If you don’t want the permanence of gluing the air plant to the crystal, you can just lean the plant up against the crystal, as I did with this T. aeranthos. An eye-catching driftwood or grapewood sculpture is another option. 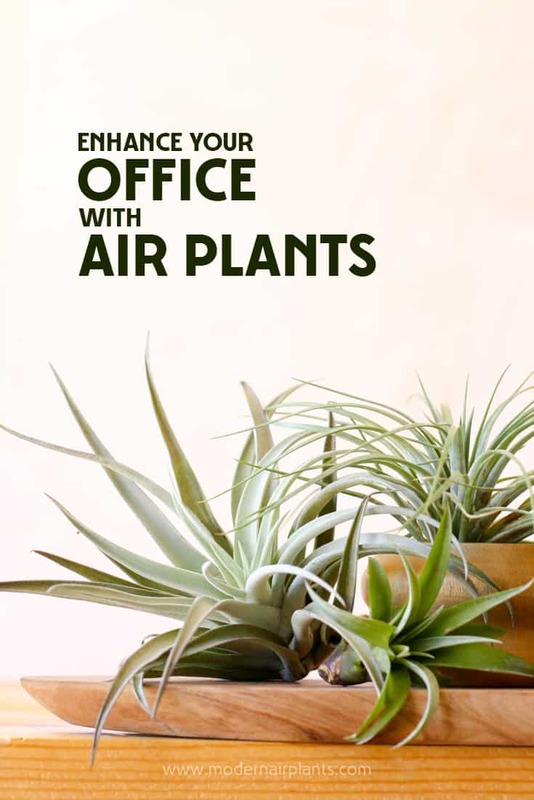 Depending on the size of the wood and the plants, a single air plant or several air plants could be showcased at the office. To exhibit a large air plant display use a long piece of driftwood adorned with several air plants. 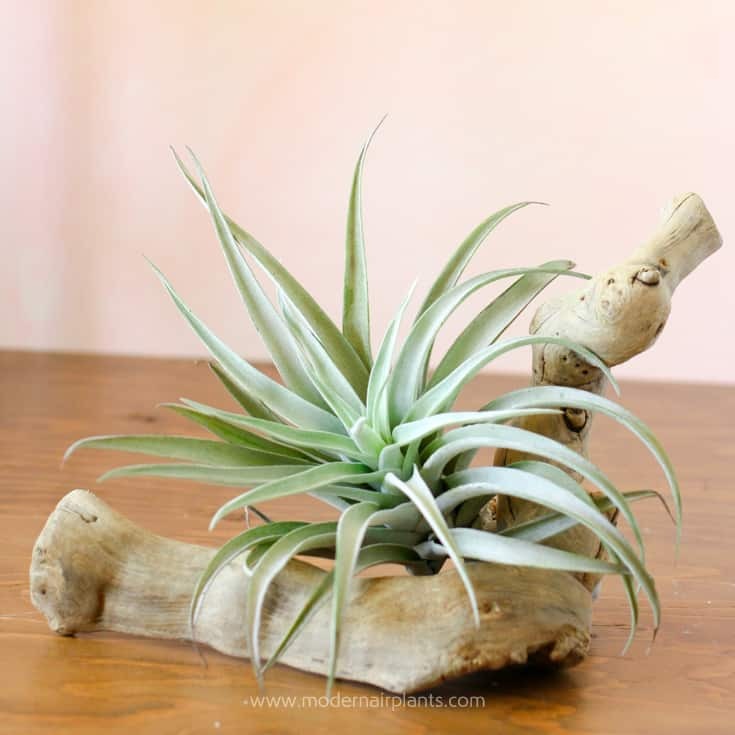 A smaller length of driftwood coupled with a single air plant is also lovely. This photo features grapewood with Tillandsia capitata peach. For a ready to go option, follow this link for a grapewood or driftwood kit complete with 3 air plants. If you are in the market for a large-scale commercial project, definitely check out the Josh Rosen, also known as The Airplant Man. If your office has a window, lucky you. 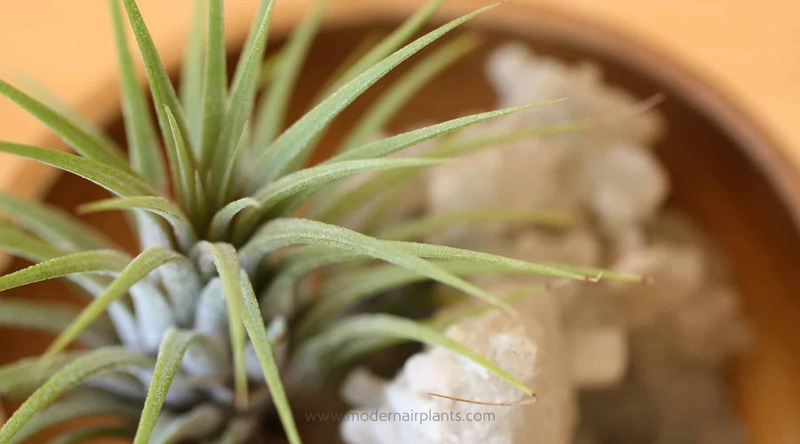 Air plants thrive in filtered natural light. They do best in a south, west, or east window. If you don’t have a good natural light source, but you do have fluorescent lighting, that will work. Just be sure to turn the lights off at night. This Tillandsia xerographica will blush pink under some direct sun. 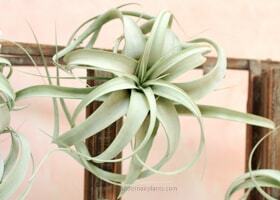 Another WOW factor is that air plants are so inexpensive. 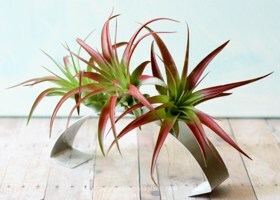 A single air plant, including shipping, can be purchased for less than $10. 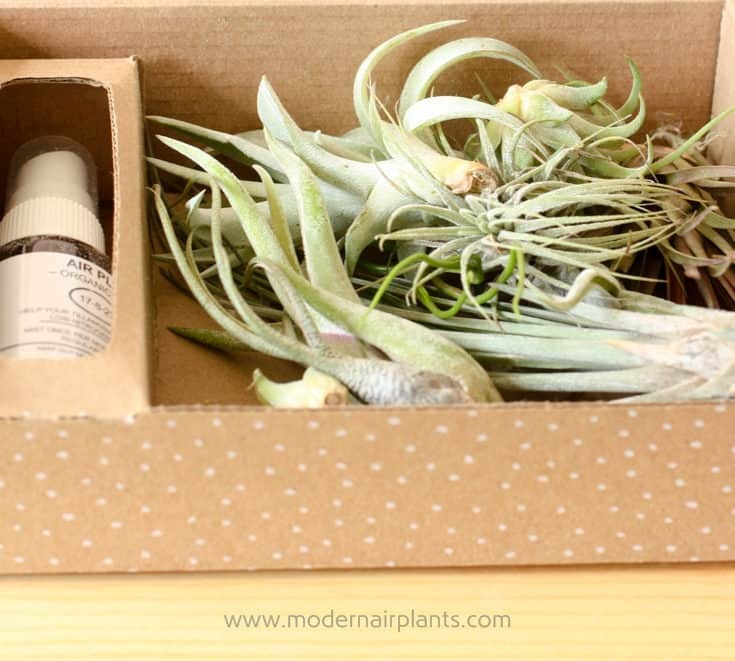 This gift box from Aura Creations includes variety of air plants, 11 air plants plus fertilizer, are available for less than $25. 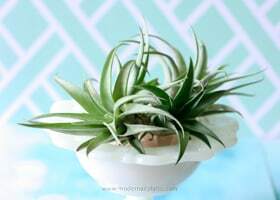 Read more about how to care for air plants. 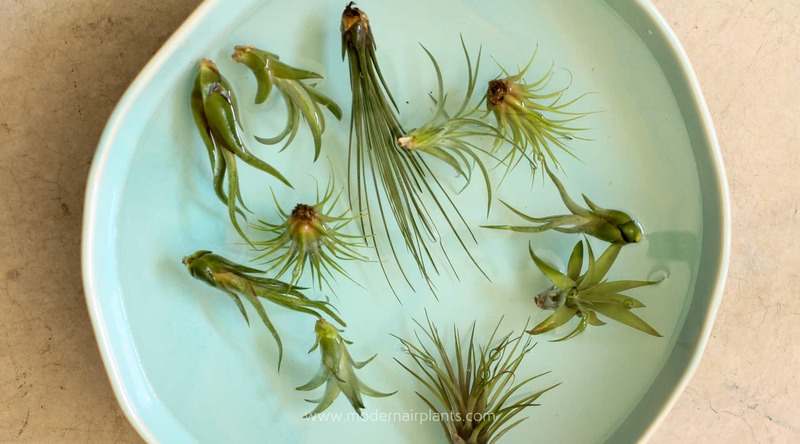 Find out more about purchasing air plants. I’m assuming your friend has fluorescent lighting. Let me know how it goes. Yes, she does. I hope it works for her.